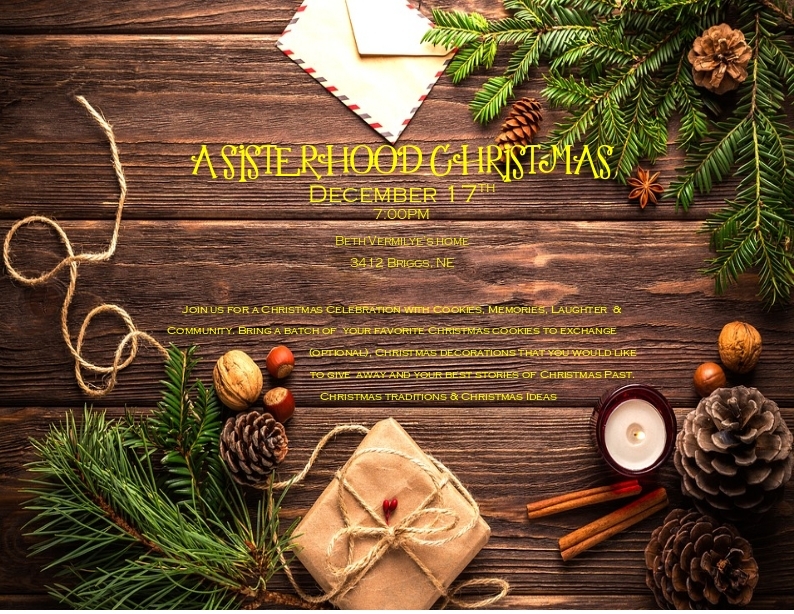 Ladies, please join us for a Christmas Celebration! Bring your favorite cookies (optional) for exchanging, your memories of Christmas past, any Christmas decorations that you would like to give a new home to, Christmas traditions, and new ideas to share. We will be meeting at Beth Vermilye’s home (3412 Briggs NE) at 7:00 PM on December 17th.